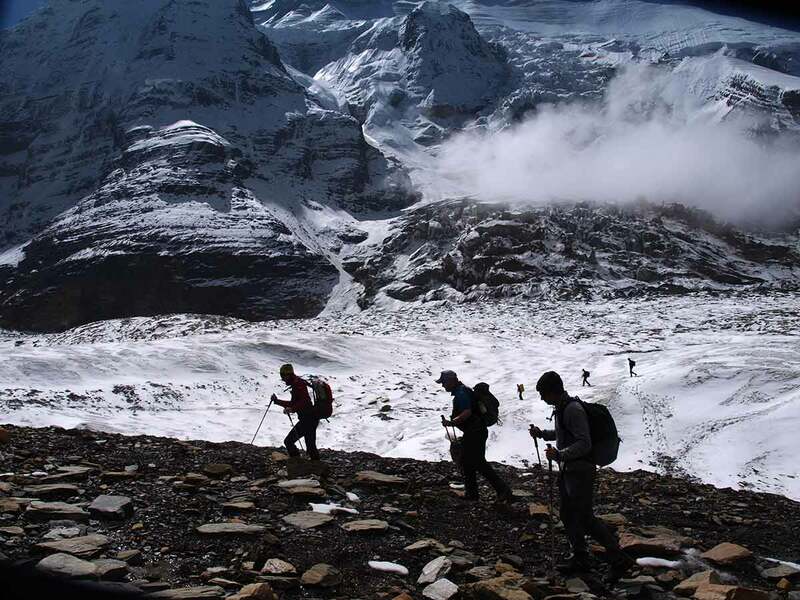 There is a long difficult trek around Dhaulagiri (8167m) that start from Beni on the Kali Gandaki and follows the Marsyangdi Khola westwards to Darbang before turning north along a tiny trail that leads through the forest into the high country. Most of the route is over snow and glaciers, crossing the French Col at 5240 m. going through the Hidden Valley and crossing the 5155 m. Dhampus Pass. 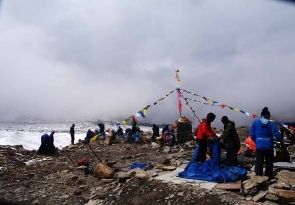 The trek passes Batase Danda (windy hill), where it is usually as windy as the name suggests, then descends steeply to Marpha in the Kali Gandaki valley. From Jomsom, the trek continues to the village of Thini, from where a goat trail scrambles over the Mesokanto Pass at 5330 m.
Culture: Different Community with majority of Gurung, Magar & Thakalis and their unique culture and religion. 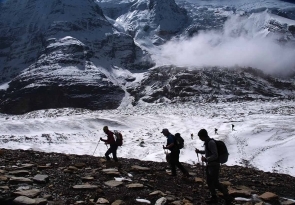 Mode of trekking: Fully Organized Trekking. 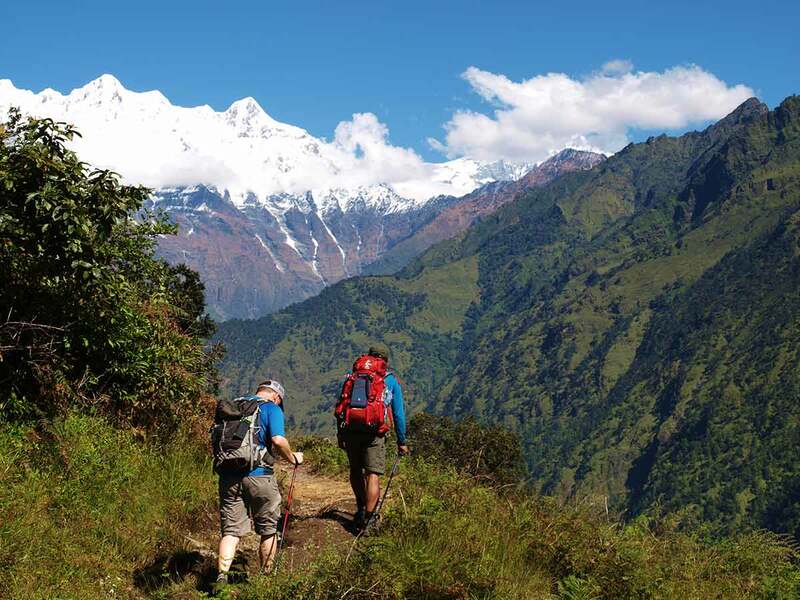 Himalayan Sights: Annapurna, Dhaulagiri Himalayan ranges, Thorong Peak and Tibetan rugged mountains Dhaulagiri region is a land of dramatic contrast. 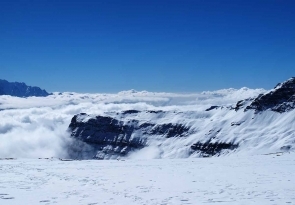 Sixth highest mountain in the world. Today after having breakfast, we take 30 minutes flight over the Himalayas or we take the private vehicle to Pokhara. On route to Pokhara, we can see country and landscape of Nepal. 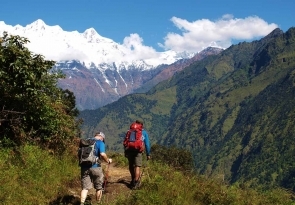 In afternoon you are free to explore the Pokhara. 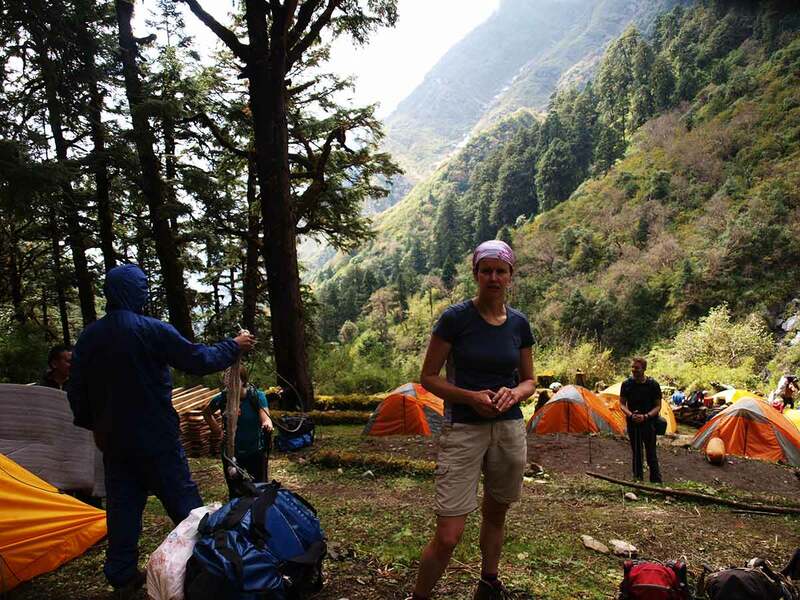 Today, we drive to Darbang and further trek to Dharapani, our trail crosses the terraced hills, Shahashadhara village Dudh Khola Ratorunga village to Dharapani. 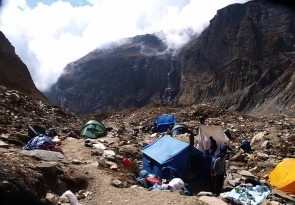 Today the path goes steeply up to Muri 1850 m, where the Mt. 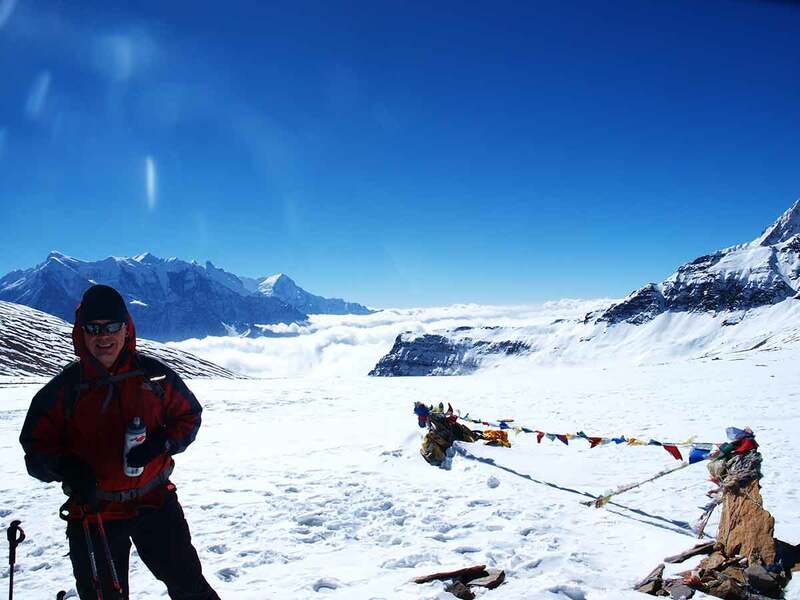 Dhaulagiri and other mountains appear clearly. 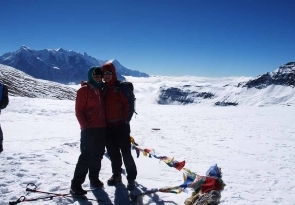 From Muri, we enjoy the magnificent views of Mt Dhaulagiri and others many more. 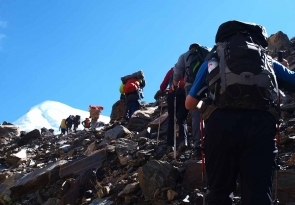 From Muri, the trail is easy and goes down for few hours but before to reach Boghara you have to climb a steep path for a couple of hours. 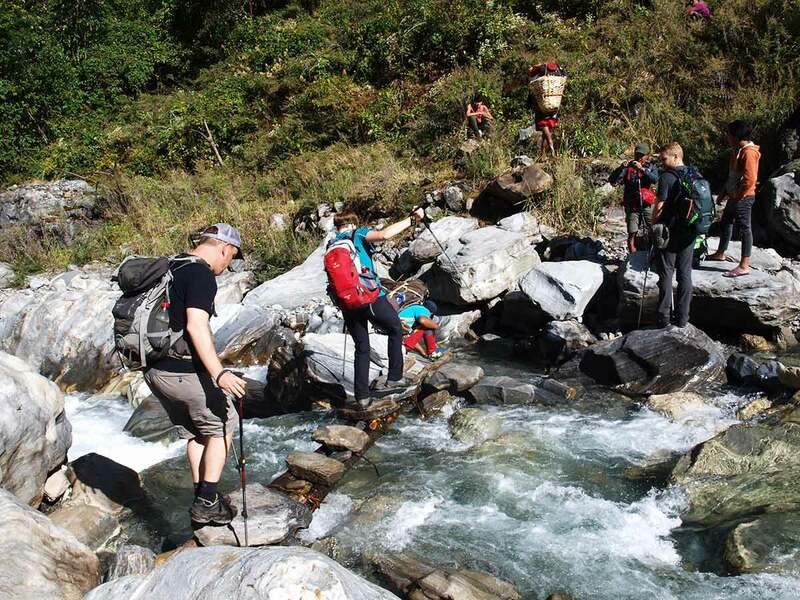 The trail descends down before reaching Phedi and then the trail ascends up until Boghara. 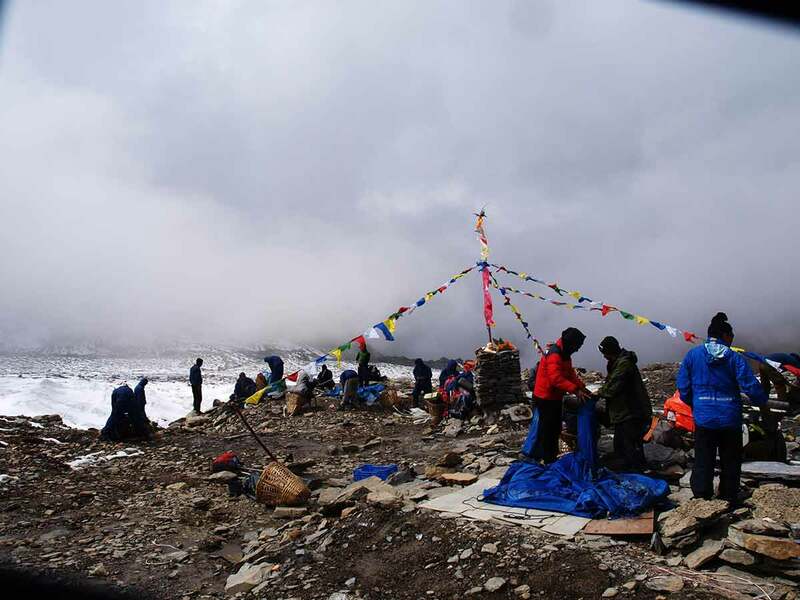 Today the path is quite difficult and sometimes we will need the help of the ropes. The trail descends down to a small ridge then crosses forest to . Finally, cross the rocky part to arrive at Dhoban. 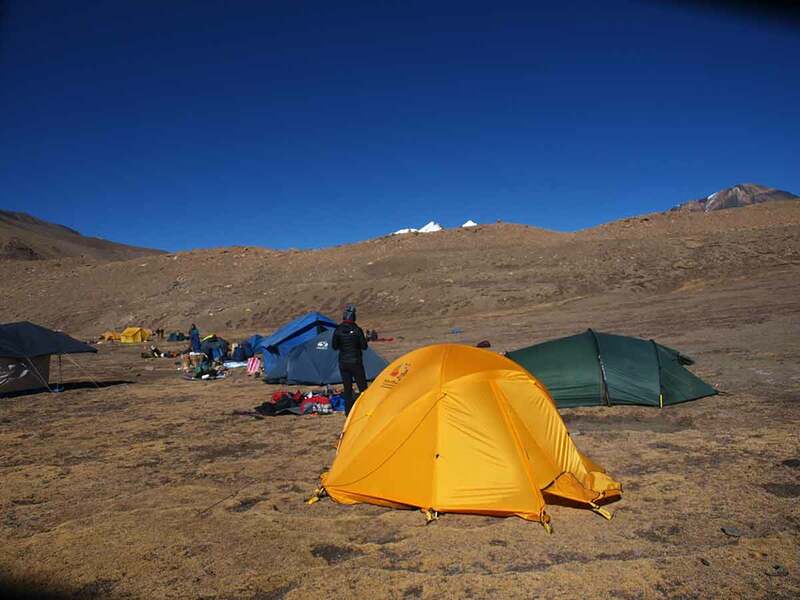 Today you will reach the Italian Base Camp where you will camp just in front of the West wall of the Dhaulagiri. 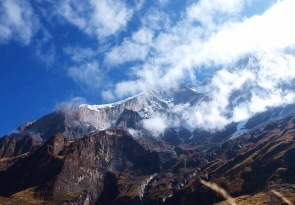 Passing through the beautiful forest we rapidly gain altitude and mountains burst out all around. 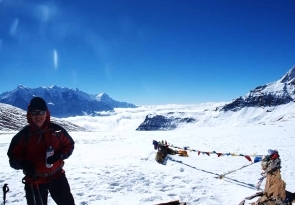 Since, we are rapidly gaining altitude, keep yourself hydrated and take it easy. 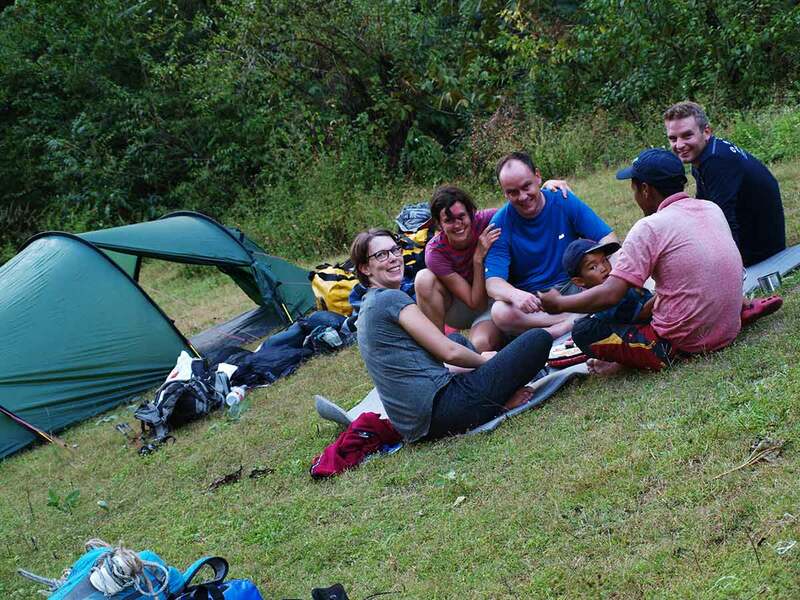 A rest day for acclimatization. Since there is little exploring, this is a day to relax because next day we will have a tough day. 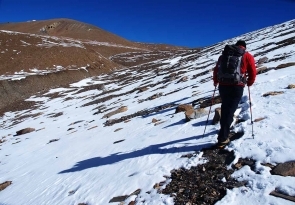 Exercise, move around, we do hiking and properly acclimatize with the altitude. Today, we trek along the trail to the Japanese Camp. This trail is a little tough, so probably we might need to use a rope in a couple of tricky spots. 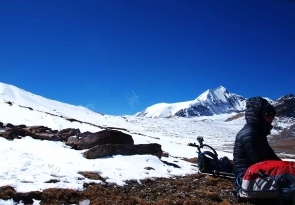 The surroundings here are spectacular, with magnificent views of the beautiful snow-capped peaks. 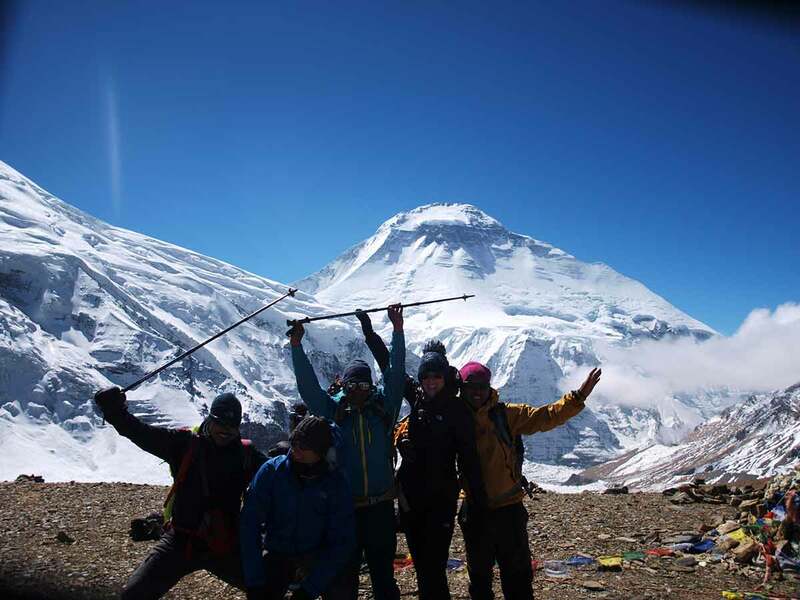 Today we reach the Dhaulagiri Base Camp. Soon the rough rubble gives way to the smooth ice of the white part of the glacier. We climb steadily to the rough and chilling but spectacular Dhaulagiri Base Camp. 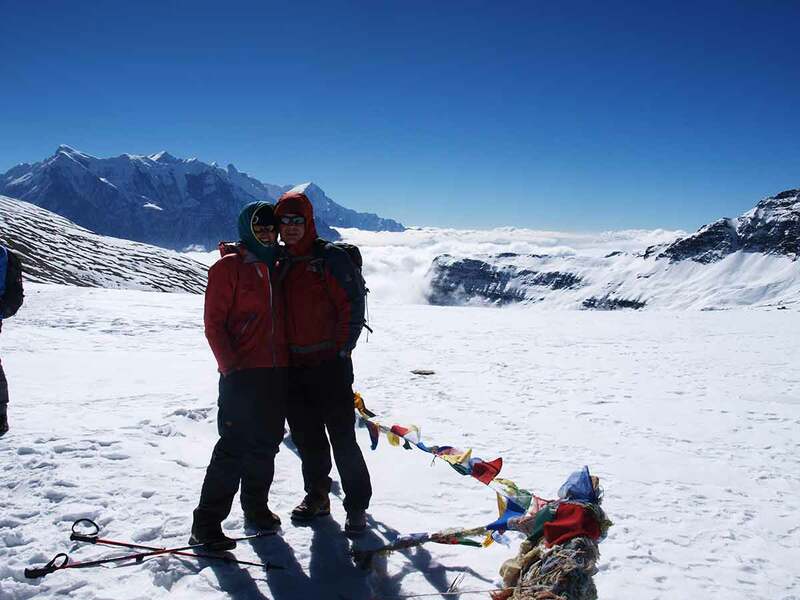 On the way, enjoy the magnificent north face of Dhaulagiri I. Today we climb two terraced hills before entering an ablation valley. 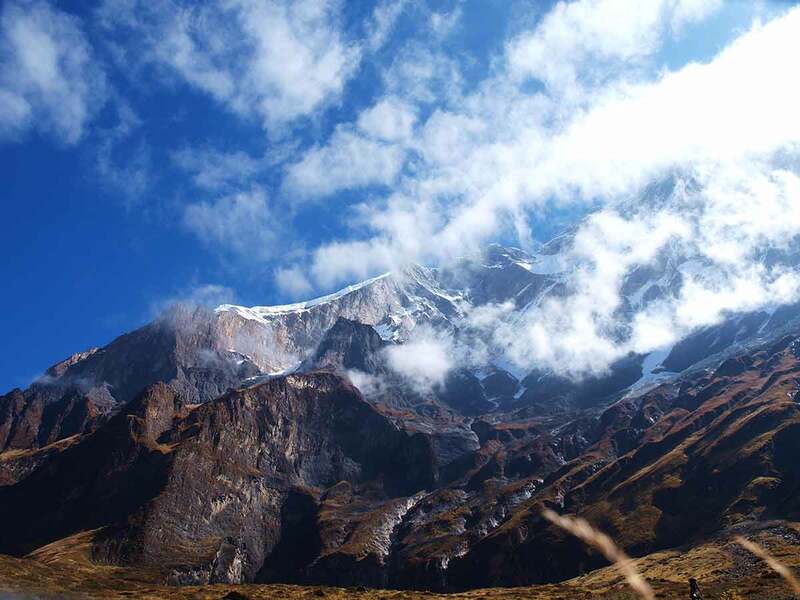 We then climb to the French Col (5100 m) from where we can see Mukut Himal (6328 m), Tashi Kang (6386 m) and Sita Chuchura (6611 m). 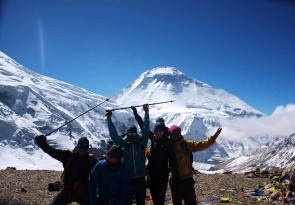 To the south is Tukche Peak (6920 m) and beyond is the massive peak of Dhaulagiri I. From French Pass we continue along the trail towards Hidden Valley. 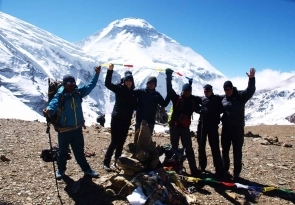 Start early morning to achieve our aim which takes about 8 hrs, At the summit we will be enclosed by the views of Dhaulagiri I, Nilgiri, and Annapurna range then down back to Hidden Valley. 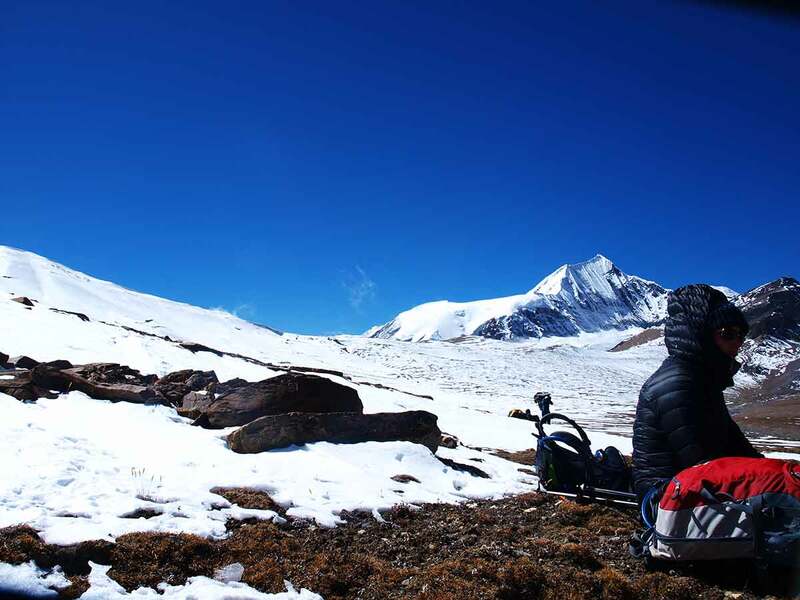 After climbing over the 5200m Dhampus Pass, we pass through avalanche prone slopes and then descends steeply to Yak Kharka. 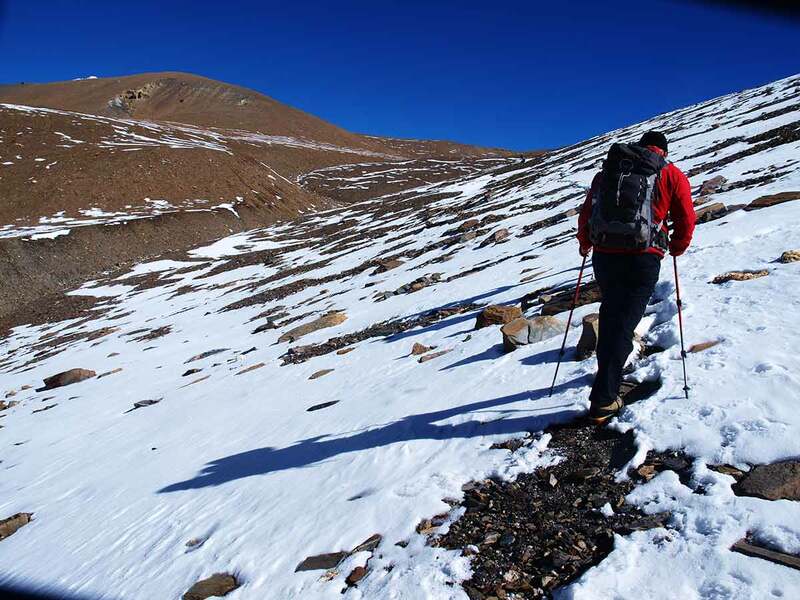 Then trail descends down until we reach at Yak kharka. 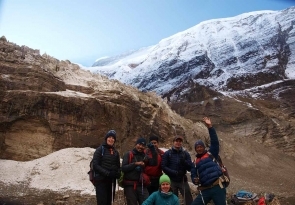 An early after breakfast, we start our trek with, through rocky path, landscape, green forest where we can have best views of Annapurna Himalayas. From Yak,kharka the trail goes up for few hours and then flat but before to reach Narphu we again climb a steep path for a couple of hours to Narphu. 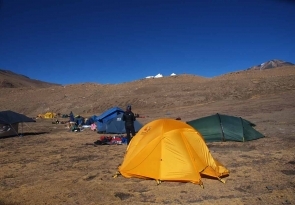 After an early breakfast, trek all the way up over the 5240m Musakanta Pass, we pass through avalanche ,Glacier and then descends steeply to Tilicho base camp. 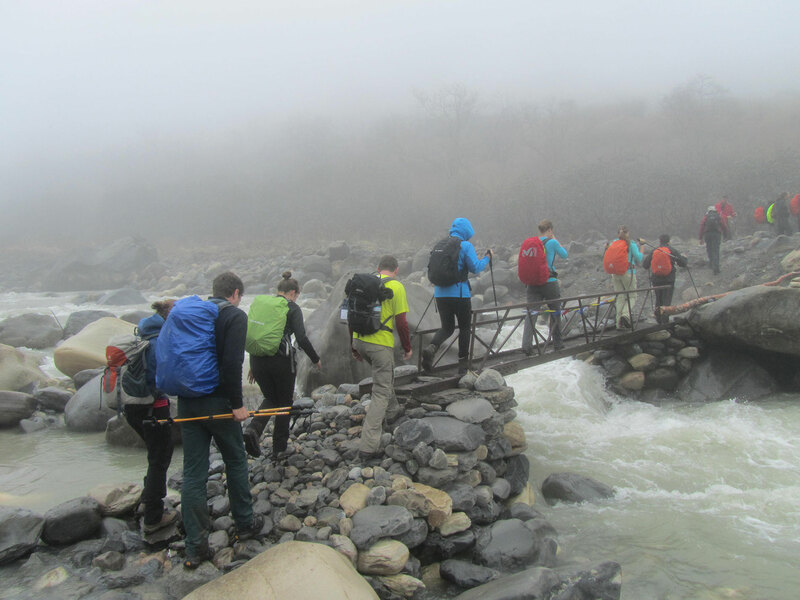 Today we start early in the morning, we trying to avoid the wind, From Base camp to Manang, follow an unmarked trail which will lead you around and down to cross the river on an old log bridge. The whole day we spend by doing some fine day walks and over viewing the magnificent views around the village. 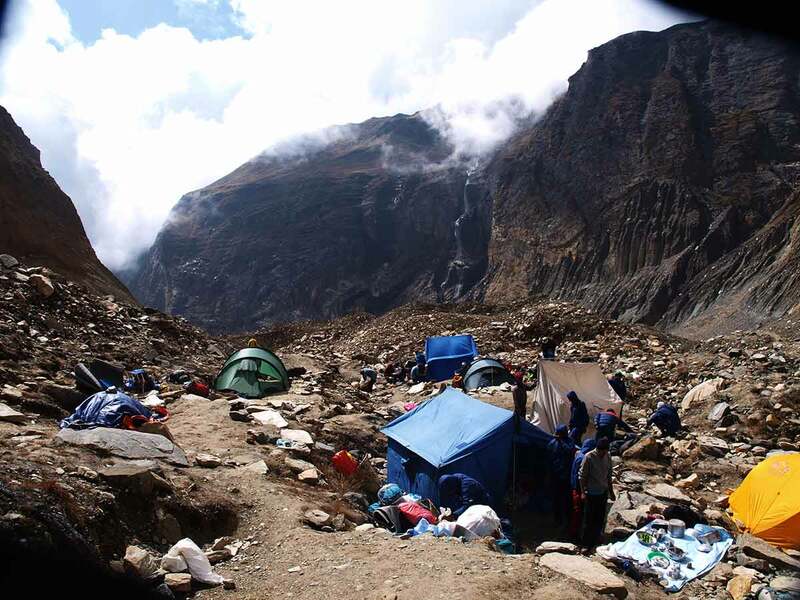 Today we continue through the drier Lower part of the Manang district, cut off from the full effect of the monsoon by the Anapurna Range. 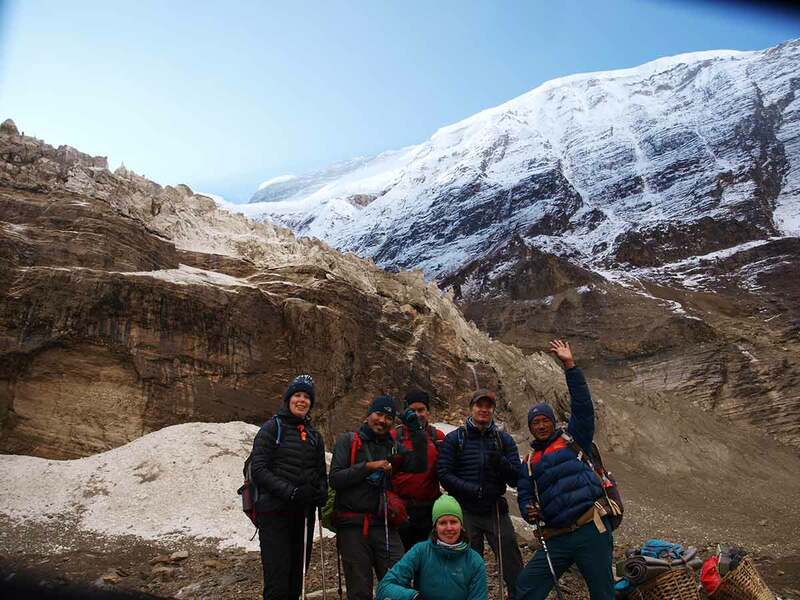 People of this region, herd yaks & raise crops for part of the year besides, they also continue to enjoy special trading rights gained way back in 1784.Leaving Pisang, we have an alternate trails north and south of the Marsyangdi River which meet up again at Mungji. 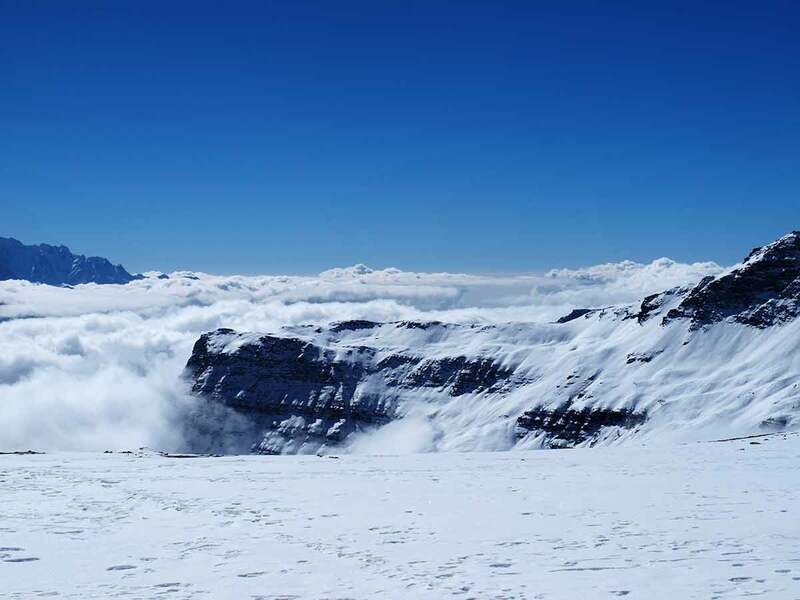 The southern route by Hongde, with its airstrip, at 3325m, than the northern route via Ghyaru, though there are better views on the trail that follows the northern bank of the river. Today, we start all the way down, we will cross a suspension bridge in Marshyangdi river just right after we left Dharapani , after passing fields of Corn, Barley and potatoes and then through forests of bamboo and Rhododendrons then we will across the river and continue walking through the cliffy way right above the river and reach Talmanang. 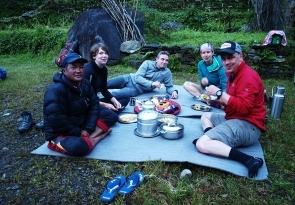 An early breakfast, then we descend to the Marsyandi River and cross the suspension bridge. 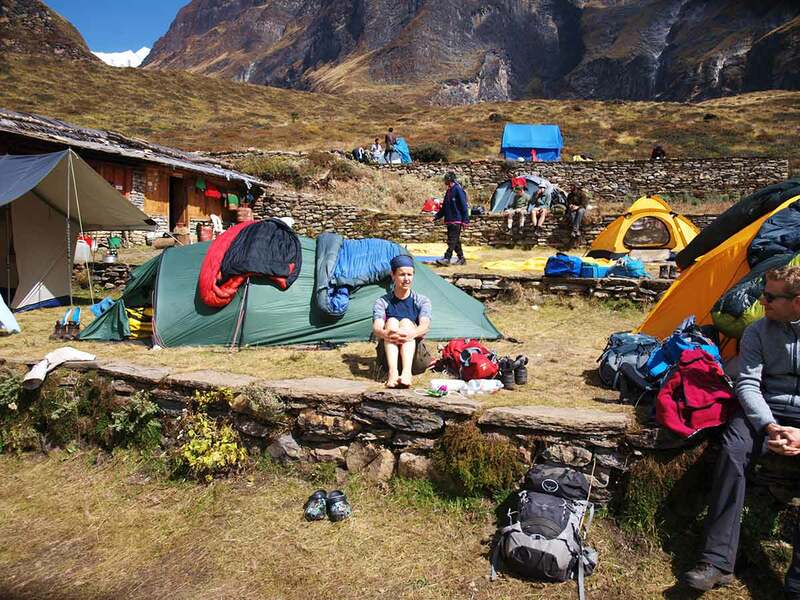 Climb up and away from the river and hike through a broad, flat valley to Syange. After early breakfast, we drive to Kathmandu by public bus through the Marsayndi river.